Cost effective- since concreate flooring can be placed on your current slab, it uses much less materials. You just have to sand and polish your floor to make it look refined. Initially cutting and polishing the floor will set you back about $6 a square foot. Low maintenance- You will need to sweep and mop your concrete floor a couple of times per week. To bring out the floors shine, you should polish it with a clear wax polish. This can be done 2 twice a year. If you’d rather keep the floor matte, use a matte wax once a year. 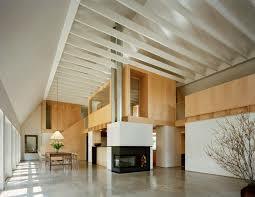 Long lasting- A well polished concrete floor can last years. You will find hairline cracks on the concrete, which is normal on these floors and brings about a sense of warmth and uniqueness. To reduce cracks, make sure the floor is kept moist with a wax or place rugs on areas that are more in use. 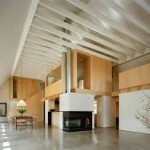 Versatility- Concrete flooring can be used in any area of your home. From your bedroom, to your bath, to your garage. This means that your home will have a sense of uniformity and completeness. If you’re adventurous, you could add color and different imprints to your cement flooring.